Members in the Denmark-Skåne region of the Scandinavian Association has established a collaborative project with Johanniterhjälpen, an auxiliary arm of Johanniterorden i Sverige, a St John Alliance Order. Our members and volunteers in the region are supporting a Hjärtstartar project, which was developed and is operated by Johanniterhjälpen. Trained in the administering of cardiopulmonary resuscitation (CPR) and operation of Heart Starter devices (automated external defibrillator units), our members and volunteers cooperate with Johanniterhjälpen in patrolling events such as Malmӧloppet and other races and public events in the Skåne region. 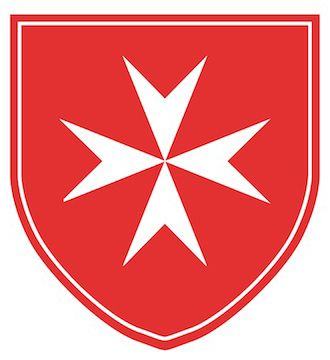 For several years, our members and volunteers have been involved in various activities of their own initiative, including assisting other organisations in a personal capacity and directorships on the board of institutions such as Stiftelsen Sveriges Katolska Folkhögskola, which directs the activities of three Catholic adult educational institutions. Accompanying immigrants and citizens with difficulties to hospitals and medical appointments, completing registration forms, liaising on their behalf with doctors and medical staff, telephoning authorities on their behalf, and providing other such domestic assistance as may be required. This activity is conducted in Skåne. Assembling and distributing food packages to homeless people in Malmӧ city. The packages contain a variety of items such as sandwiches, fruit, muesli bar, fruit drink, and basic items for personal hygiene, such as a toothbrush and toothpaste. Assisting the Danish Red Cross in home visits to the alone and elderly. The weekly 2-hour visits involve engaging in conversation and spending time together. This activity is conducted in western Denmark; it is a need that has been identified as critical in today’s society. Assisting with Masses on the Day of the Sick by picking up and taking people to the Mass and returning them home afterwards. It also involves providing and setting coffee for social gatherings after the Masses. This work is currently done in two locations in Denmark. Assisting in the operation of an established soup kitchen that is operated by the Missionaries of Charity at their convent in Copenhagen. The work involves cooking, preparing, and serving the main daily meal, as well as cleaning up and dishwashing by hand, cleaning of the premises, and engaging in conversation and attending prayers with the homeless who come for physiological as well as for spiritual and social sustenance each day.